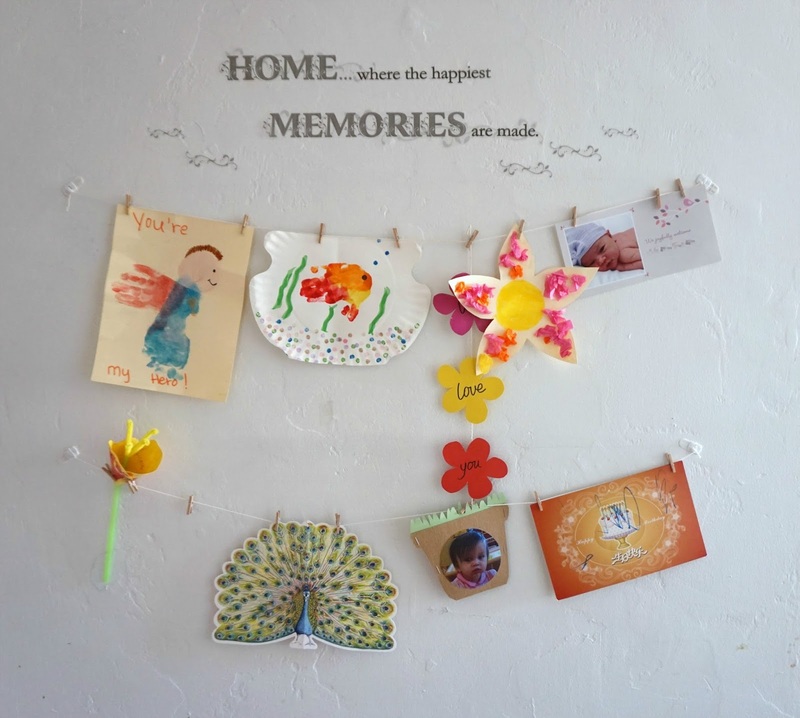 I meant to fill up this empty wall with the greeting cards we receive for special occasions and artworks we get from the daycare every other week. I did some research on Pinterest and figured out how to do this display for cheap. 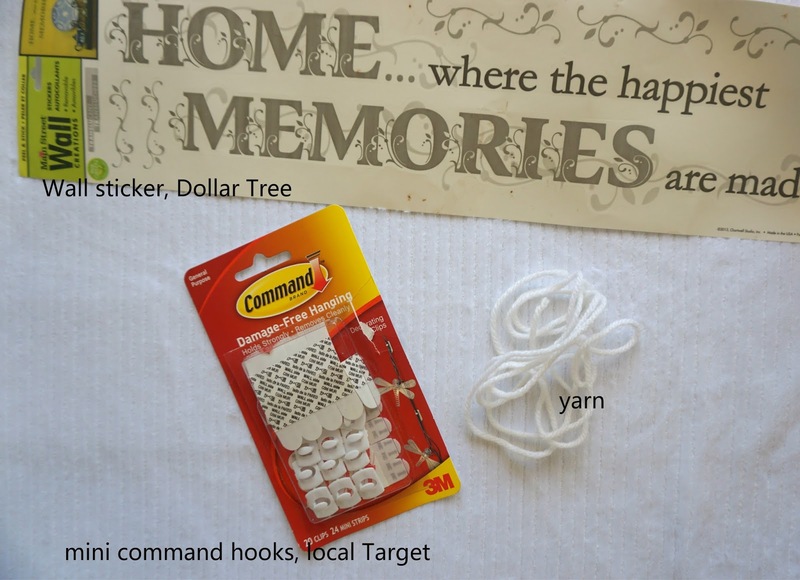 Materials I used are, spare white yarn I already have, mini command hooks from Target and wall sticker from Dollar Tree. Don't forget the mini clothespins from local craft store. I got mine from Jo-Ann Fabric. I spotted some colorful mini clothespins in Target dollar spot for just $1 yesterday. There you go. For under $5, I have this functional and beautiful (of course I'm biased because I did the work.) display wall. Take a look at the Father's Day card. Isn't it the cutest? !